Serenity Stables began as a grass roots community based Equestrian establishment, built from the ground up using Permaculture methods of ecologically friendly design. 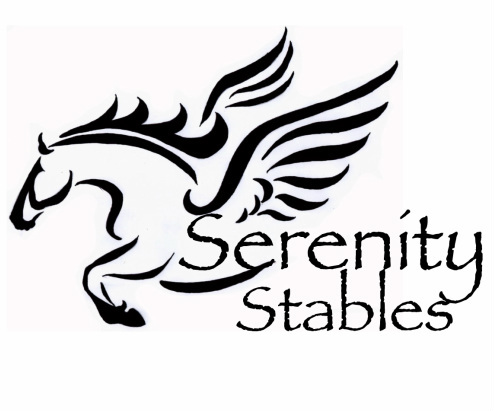 Serenity Stables is a fully insured facility and was the first riding establishment to be given a five star rating by Cornwall Council in 2013. Serenity Stables is situated close to the tranquil village of Crowan, in the quiet hamlet of Bolankan in West Cornwall which is central to the population centres of Helston, Falmouth, Hayle, Camborne and Redruth. Our friendly establishment provides the perfect atmosphere for some "time out" in the quiet countryside surroundings with quiet country lanes and spectacular hacking and trekking routes in all directions. "how peaceful it is here and how happy and relaxed the animals are". From the moment you arrive, you will be greeted with friendly faces and quiet, calm horses in a setting which will set you at ease. We treat each and every customer as an individual and as such each rider's needs are catered for specifically to their individual requirements for a truly unique service. Perfect for a family day out, individual fitness workout or a private session to clear the mind. Horse riding and related activities have inherent risks personal rider's insurance is recommended.